Friday is a big day for Jonathan Portman and Turf Club 2014. It's time to unleash the pocket rocket that is Mrs. Danvers. This compact grey filly, a daughter of Hellvelyn, hit the headlines for being the exception to the rule. A cheaply purchased breeze-up buy for just £1,000. Well, she's paid that back one hundred and fifty times! She won in a superior fashion when trouncing her rivals on debut at odds of 33/1. Next start she snaffled £10,000 in prize money in stylish fashion at Windsor. Mrs. Danvers was just warming her muscles for the big pot of gold. Newbury. The Wetherby Super Sprint. A field of twenty-three runners. Did she care? No. Connections pocketed £122,000 plus change. Last time out she took home less prize money but showed ample ability to gain black type and Listed-class success. 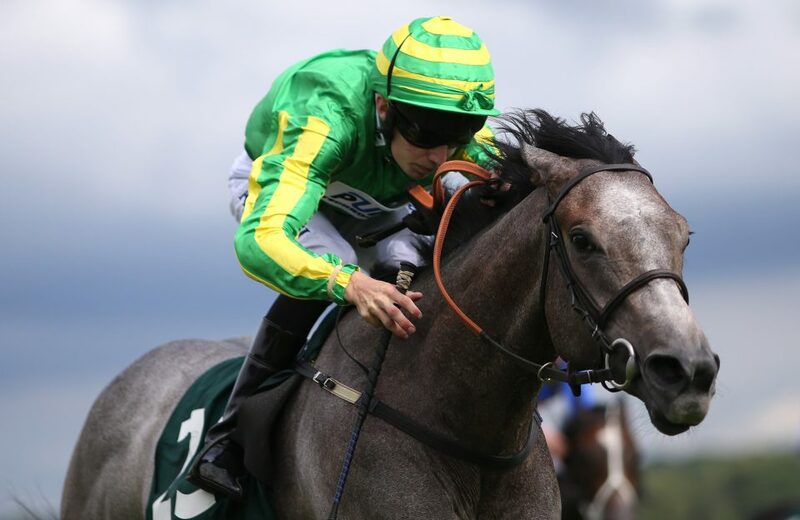 With total prize earnings of more than £150,000, there is nothing grey about this honest, speedy, winning horse. Mrs. Danvers competes against ten rivals in the Cornwallis Stakes Group 3 at Newmarket (1:35) over her customary five-furlong dash. The trainer is ready. Connections are ready. The punters have placed their bets. Horse racing is built on dreams, fairytales...tears of joy in the hope that you can find that diamond in the sand. Four wins from four. The crowds will be cheering for five.